While brands continue to invest in new technology and practices to better connect with consumers, the gap between brands’ performance and consumer expectations remains wide, according to new research from Alliance Data’s card services business, a provider of branded private label, co-brand, and business card programs. 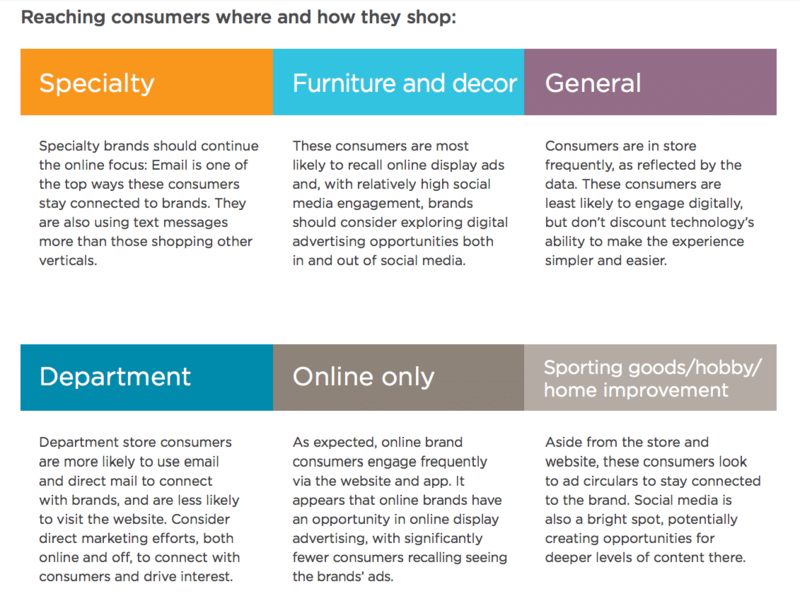 The study, The Great Divide: Connecting Brands to the Real Needs of Today’s Consumers, identifies where brands are falling short at meeting consumer expectations and provides insights and strategies for increasing the relevance and effectiveness of brand marketing. The multi-phase research project identified 31 consumer needs, measured how consumers prioritize those needs, and asked brands and consumers to rate how well those needs are being met. Consumers had average importance scores ranging from 28 percent to 88 percent for the 31 needs, while marketers gave each need an average importance score of 92 percent. This inability to accurately prioritize needs can cause brands to devote resources to needs consumers do not find important, reducing their ability to execute on higher priority needs. Consumers rated simplicity-related needs among the most important of all those studied. Yet, about half of consumers say brands are not meeting their needs in this area. An example of this disconnect can be found in the fact that 84 percent of consumers claimed clear content was important while only 49 percent felt brands were doing a good job at delivering clear content. Nearly 98 percent of marketers claimed personalization was an important or very important need while consumers rated all but two personalization-related needs as unimportant. Consumers are not impressed with how brands are using past purchases or browsing history to inform content and make recommendations. They now expect communications that are relevant to their needs at a given time. The biggest unmet need uncovered in the research was in the area of control over how brands communicate. Fifty-two percent of consumers said that when they can control the frequency of emails and types of content they receive, they are more likely to pay attention to what they receive. The report also provides research-based guidance on how generational differences factor into how customers respond to brand marketing and how consumer needs and expectations differ across various types of retail businesses. The vertical sectors covered in the study include specialty, furniture and décor, department store, general, sporting goods/hobby/home improvement, and online only. Conducted by Alliance Data’s Analytics and Insights Institute, which helps brands use data and analytics to improve marketing effectiveness, “The Great Divide” is the result of a combination of quantitative and qualitative research that included more than 2,000 consumers and 40 brands.